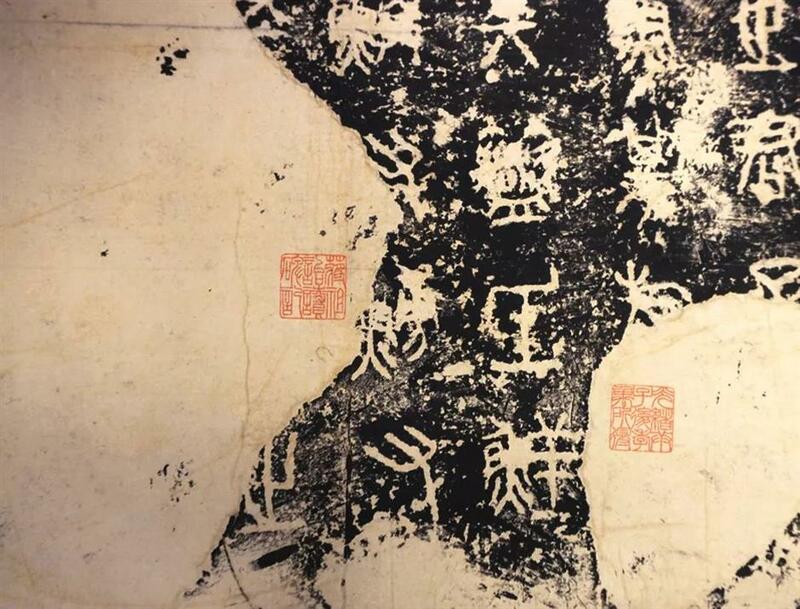 Admirers and practitioners of Chinese calligraphy can head to Shanghai Library, which is hosting an exhibition "Rubbings of Stone Drum Script" until February 15. The exhibition offers a unique opportunity to discover the origin of Chinese characters that were inscribed on the stone drums during the Qin Dynasty period (221-206 BC). Originally thought to bear about 700 characters in all, the stone drums were already damaged by the time they were first mentioned in Du Fu’s poetry in the Tang Dynasty (AD 618-907). They were further ruined by nature, rough handling and repeated copying by rubbing over them for centuries. Passing through the hands of generations of collectors, master calligraphers and epigraphers, only 470 characters on the rubbings are legible. 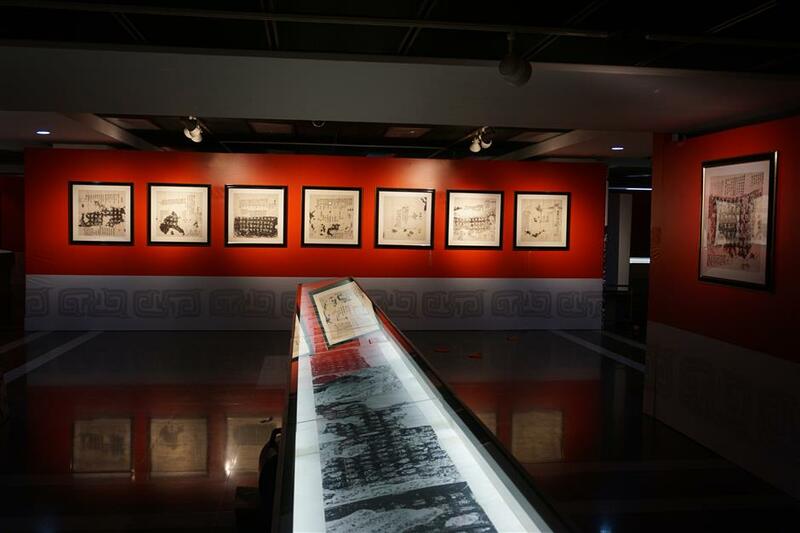 Shanghai Library teamed up with Shanghai Museum and the Shanghai Calligraphers’ Association for the ongoing exhibition — the first for the Chinese New Year — to showcase 24 fine collections of the rubbing albums from across the country. A mid-Ming Dynasty (1368-1644) rubbing called “Huang Bo Album,” in which the characters “Huang 黄” and “Bo 帛” remain intact. 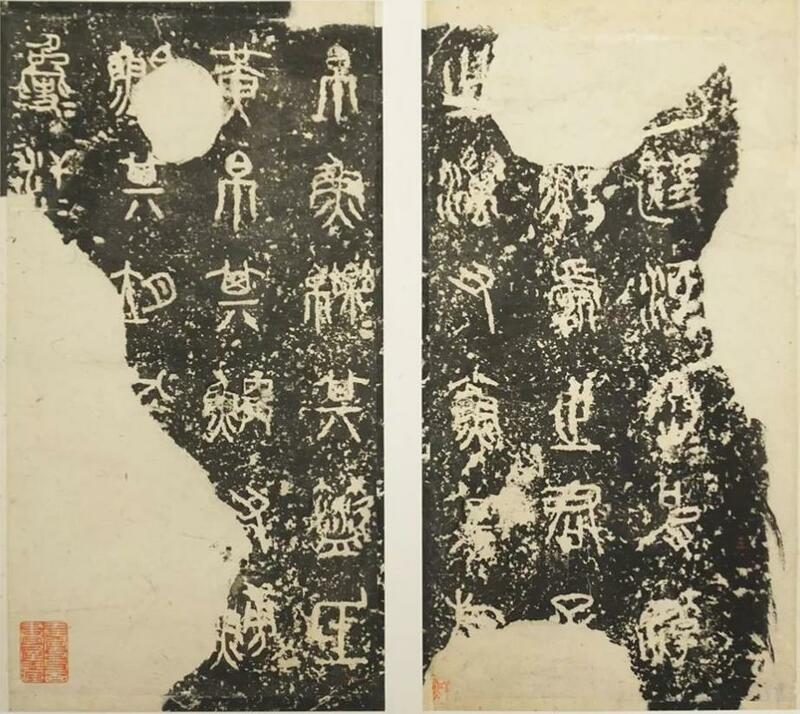 Another rubbing, called “Di Xian Album,” is from early Qing Dynasty (1644-1911), in which the characters “Di 氐” and “Xian 鲜” remain intact. The birth of writing is an important sign of a culture maturing in any civilization. Information began to be recorded and knowledge preserved. The exhibition showcases 24 fine collections of the rubbing albums from across the country.